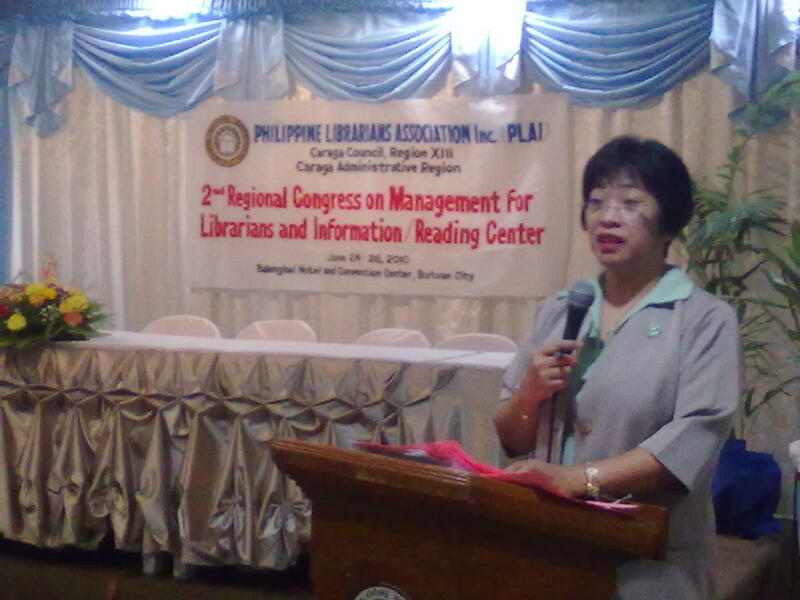 The 2nd Regional Congress of the Philippine Librarians Association Inc. (PLAI) opened this morning with Ms. Lilia F. Echiverri, PLAI National President as the Keynote Speaker. 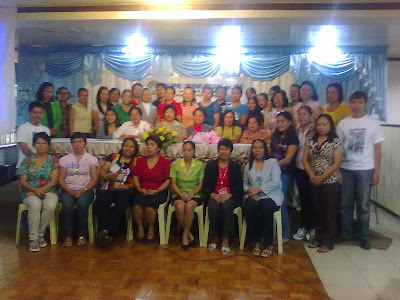 She gave updates on the PLAI Plans 2010 and the requirement for CPE units for the renewal of PRC License of the Librarians. She emphasized the importance of the librarians specially in the new era of globalization brought about by rapid changes in ICTs. 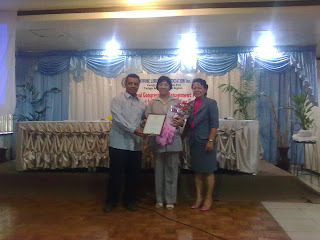 PLAI Caraga President, Dr. Ma. Teresa P. Baylon and Vice President Jane Singuran along with other officers, and about 40 librarians all over Caraga Region participated in the 3-day seminar-workshop wich focuses on library management. 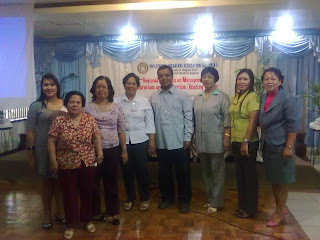 5 book exhibitors have display at the the Balanghai Hotel lobby. Those who have querries, list of books for purchase are invited to visit the exhibits which will run from June 24 - 26, 2010.